Featuring step-by-step, interactive projects, ABC & Color Me combines doodling and hand-lettering for a fun exploration of how to hand-letter your own alphabet in fun, quirky ways. Doodling, hand-lettering, and colouring pages introduce young readers to hand-lettering with with easy-to-follow, step-by-step lessons. 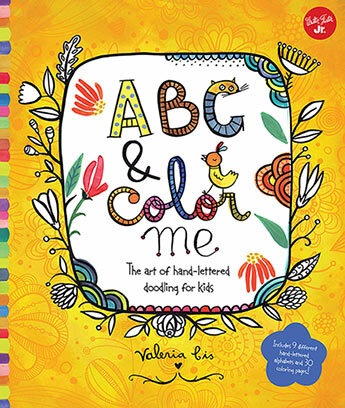 ABC & Color Me is a sweet and engaging drawing workshop for kids featuring their own personalized alphabet doodles and inspirational sayings. The book begins with an introduction to basic lettering and doodling techniques geared toward young artists. 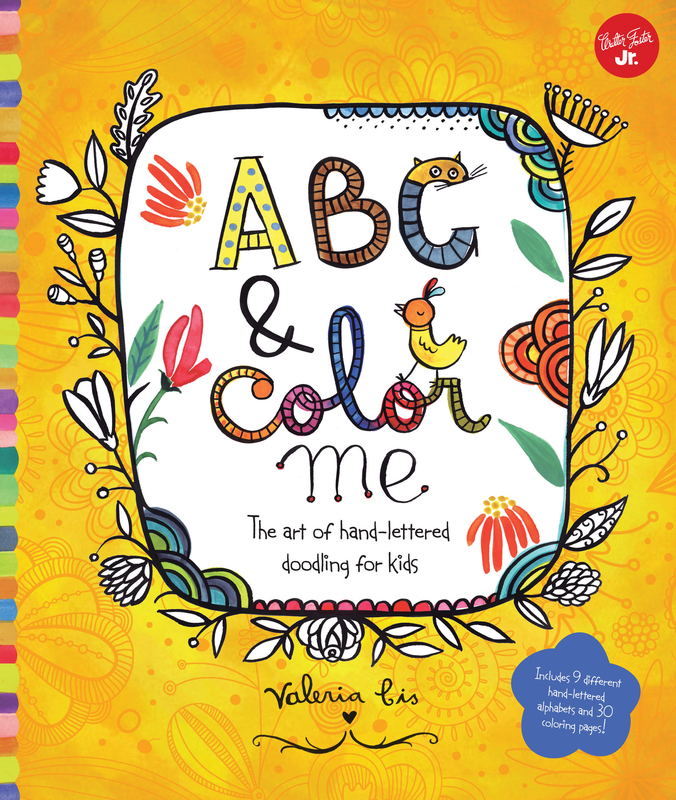 As young readers have just learned the alphabet and have only started to read, ABC & Color Me adds extra creativity for a fun exploration of doodling, colouring, and designing your own alphabet. Featuring interactive lessons and projects with easy-to-follow, step-by-step directions on how to hand-letter the alphabet in fun, quirky ways, ABC & Color Me encourages young artists to personalize their own unique doodles and inspirational sayings for hours of hand-lettering fun! Valeria Cis was born and raised in the city of Rosario, Argentina, where she lives with her son, daughter, and husband. As a little girl, Valeria spent many hours painting, drawing, and reading, especially on rainy days. Once she realized that she could merge her passions, she dedicated her time and talent to illustrating children's books. Valeria studied fine art at The University of Humanities and Arts in Rosario. Her illustration, inspired by daily events and ordinary objects, is brought to life with special attention to detail and pattern. When not illustrating, she likes to spend her time playing with her son, Facundo, and cat, Roberta, and collecting wooden chairs and old irons.